Winged forms are only 1/2″ long. Workers and soldiers are about 1/4″ long. The soldier has an elongated, quadrangular, light yellow head with straight mandibles, curved at the tip. The thorax of the worker is the narrower than the head and abdomen. The most widespread group of termites. 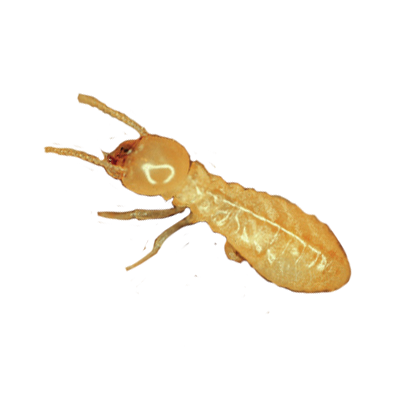 They cause most of the termite damage to structural timbers in the United States.